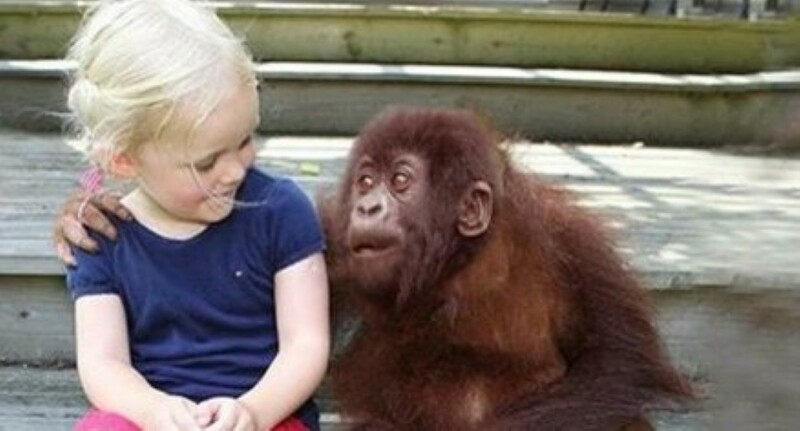 She Grows Up With Gorillas…But 12 Years Later When They’re Reunited? I’m Speechless! Bimms and Djalta were taken in and cared for. They are two western lowland gorillas and the goal was to re-introduce them back into the wild. In 2003 they were indeed released by The Aspinall Foundation who have been caring for gorillas for 15 years. Now, 12 years later, the man who runs the foundation, Damain Aspinall, and his daughter Tansy who grew up with the gorillas, decided to head back to the place where they had released the pair. They trekked out to Gabon, West Africa to see if they could indeed track the two down. The big question mark was going to be if the gorillas would even remember them if they did in fact find them. And of course, what would their reaction be if they in fact did recognize them? The answer is pretty incredible. Find out what happens in this amazing and very moving video of gorillas being reunited with the humans that raised them.